So I thought I would share one of my new purchases but also do a small review about it. So I decided on payday I could treat myself to a few things on the Make-up Revolution website as I know my orders are never too expensive and I wanted a few new make-up bits. I adore most of the Make-up Revolution palettes I own and seem to use them on a daily basis so I knew I wouldn't be wasting my money. 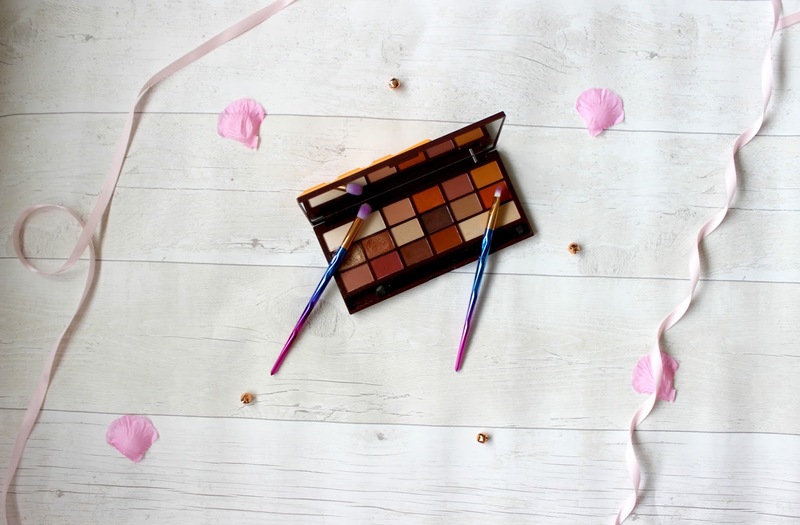 The chocolate orange palette was a must for me once I had seen it as I love anything chocolate orange scented and that's exactly what this palette is - Just to let you know it actually smells divine! So overall I'm quite biased in terms of these palettes as I adore every single one I own and I own quite a lot of them. The packaging is a chocolate bar with the front been orange to of course make it easier to find like me when I have like six of the same palettes the different packaging definitely tells them apart. These palettes have a massive mirror which is perfect for travelling but I also use the mirror for when I'm getting ready. You get 16 shades in the palette and the pigmentation is incredible. I loved this palette because of the chocolate orange theme but also the shade range was mainly oranges/reds which is what I've been wearing on my eyes for the past few months as I just like how it looks on me so I knew I would get my wear out of this palette for sure. My reviews are mainly more of a chat about the product but I just adore these palettes there isn't anything bad for me to say, I would recommend these products because of the price, pigmentation and shade ranges. I will leave a link to this palette HERE if you want to go and purchase it.